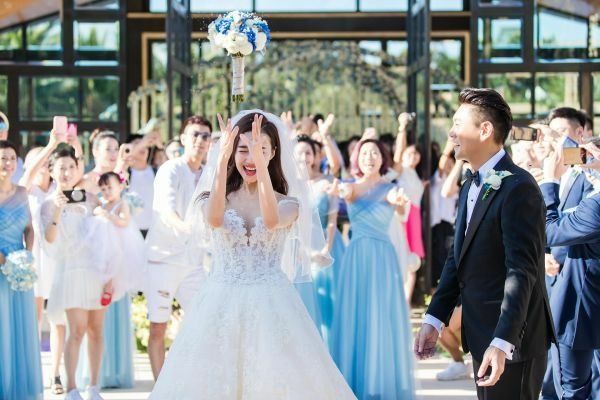 I’m inching towards celebrity wedding overload after successive Chinese and Taiwan huge stars have gotten married in the last two months alone, but I think I have it in me for one more celebratory post. TW-actor/singer Ken Zhu, most famously of group F4, got married to his C-actress girlfriend Han Wen Wen this weekend in Bali. It’s yet another destination wedding and the weather cooperated beautifully for the couple even though it was late into the summer. 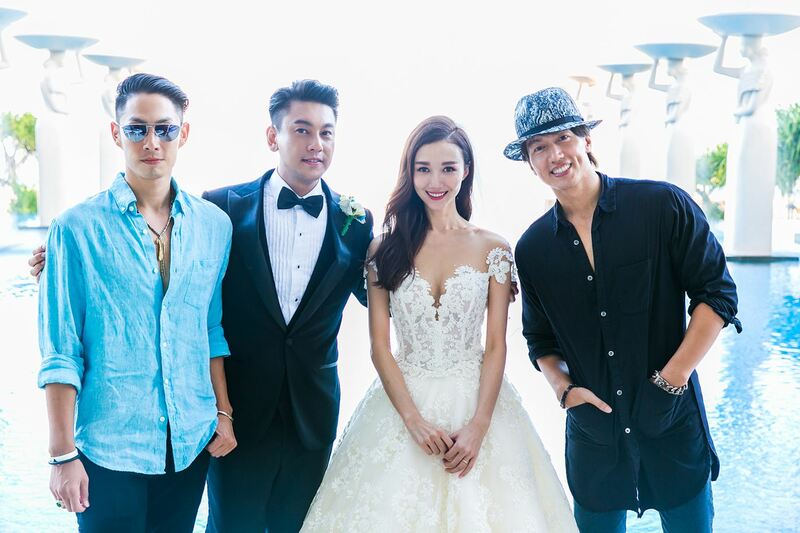 Only two of his F4 mates attended, namely leader Jerry Yan and maknae Vanness Wu, while Vic Zhou couldn’t travel due to recently welcoming a new baby with his wife Reen Yu. The bride and groom looked gorgeous and happy, with a beautifully airy backdrop of blues and whites to complement the chic decor. A hearty congrats to the newlyweds, and now it’s only one F4 member left in the bachelorhood. Awe no F4 reunion. It’s ok. It’s nice to see everyone moving from Meteor Garden. Jerry is my favourite of the F4. He seems so reclusive and rarely appear with any project yet still has the star aura, kind of like Won Bin. Congrats to the lovely couple! Now there’s only Jerry left, but look at his cute dimples! Those photos make me reminisce my favourite F4 drama. Ok, I think I see what’s happening, so many C and TW entertainment weddings! Maybe it’s all a conspiracy to create the next generation of actors/actresses! Congrats to all the newlyweds! Such beautiful wedding photos! Thank you for sharing! Vanness has the exact same pose/expression for both pics.. But he’s looking handsome! After all these years all that I can see in those pictures is the dimple of my man. Still love you Jerry Yan! Jerry Yan is my favorite F4. I just loved him and his crazy eyes in Meteor Garden and after watching the three adaptations, I still think that he is the best actor for this character. I’m ok with Vic Zhou and Ken Zhu, never liked Vanness Wu though. The bride looks very pretty and I wish the best for the happy couple. She is very pretty, but way too skinny. I feel if the wind blows harder it will break her…..
Congratulations and best wishes Ken! Thanks for sharing! congratssss…now is jerry’s turn to be a groom….